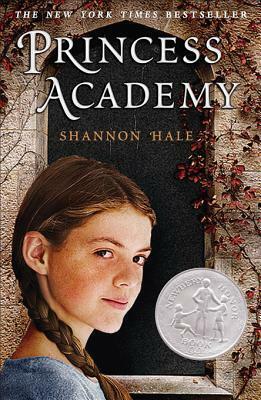 About a month ago I finished the Princess Academy series, by Shannon Hale. Since my blog is still so young, I didn't have any of my reviews posted about it. Hence, the Series Spotlight! Seems like I have finished several series lately, so this may have to become a regular feature! Okay, okay, technically it's a trilogy. At least, as far as I know #3 is it. Have you heard any different? Miri was such a great heroine. She's courageous, resourceful, and kind. Also, very smart. I loved seeing the way she solved problems, big and small. Content: Clean, for all 3! Miri is small for age--not an asset in the stone quarrying community where she lives, high up on Mount Eskel. In fact, her Da doesn't even allow her to set foot in the quarry, which makes her think she must be worse than useless. Than a messenger comes riding in to say the stars have given a sign--the prince will marry someone from their region. To prepare the girls to meet him, all eligible will attend training at the Princess Academy, being set up a 3-hour's walk from the village. Miri doesn't want to leave home and she doesn't want to marry a prince she's never met, either, but like the others she must go to the Academy to prepare. 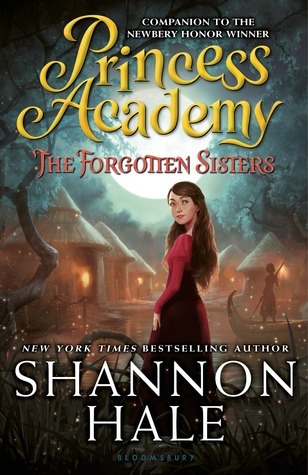 The strictness of the tutor, and her relationships with the other girls will test her far beyond what she could have imagined, while the world of reading and learning that opens up to her expands her possibilities just as far. A princess story with substance. Miri is a heroine to root for--smart, brave, and kind. Loved it! Miri and several of her friends from the Princess Academy go down to the city to help Britta prepare for her upcoming royal wedding. But all is not peaches and roses. The shoeless poor are hungry for a fiery revolution and some of Miri's new friends at the Queen's Academy are ready to light the tinder. It's thrilling to be part of a big change and help so many who are being trodden down, but at the same time, the people first in line for the chopping block would be the royal family, particularly Britta. Miri must decide where her loyalty lies and how far friendship goes. This was a very different book from the first Princess Academy. The first had a fairy-tale feel to it. This one was less about individual characters and much more about the politics of the kingdom. I enjoyed both, but I liked the first one better. That being said, I think this one would make for a more interesting discussion. It was well-written. I liked how Miri's perspective deepened as she saw different sides to the king and queen, as well as to those fomenting the revolution. She learned the power of words, the hard way, and was able to use that power to effect real change in the end. Her letters home added a nice touch. Miri is just about to leave for home on Mt. Eskel, when the king summons her. She is to go instead to the swamplands and hold a princess academy for 3 sisters, in preparation for a possible marriage alliance. 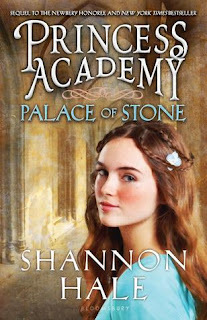 With much trepidation and some grumbling, Miri goes as bidden--on the condition that if she succeeds, the land her village sits on and the quarry will belong to Miri and the other girls who attended the previous princess academy. She is determined to be imposing and whip these girls into shape. She hasn't counted on the heat, the humidity, the bugs, the constant search for food. Wait, what? They are supposed to be receiving money from the king every month! Why are they living in a threadbare house without food? As Miri humbles herself to learn from the sisters, she also becomes determined to solve their cash-flow problems, even if it means she has to take on some bandits. In the midst of it all, war is looming in the background, but it's about to become a very present threat. I really like Miri, and the way she solves problems. She's smart, kind, and determined. Each of the books of this series so far have been quite different from each other, in tone and plot, but I have enjoyed them all. I especially liked the resolution to this one, and the growth shown by all the characters.